Manny Pacquiao | Here's to Life! 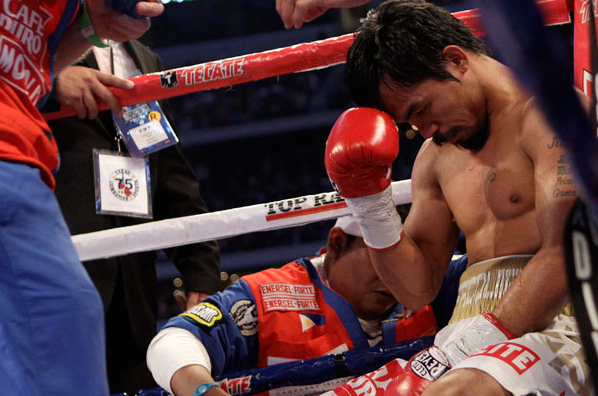 While everyone around the world and more so, here in my own country, the Philippines, is talking about the amazing defeat by the Pacman of Ricky Hatton in just 2 rounds, there is one image that really catches my heart when it comes to Manny Pacquiao. Without fail, Manny goes to his ring corner before every fight, kneels down, oblivious to the crowd and the din inside the stadium, and prays. 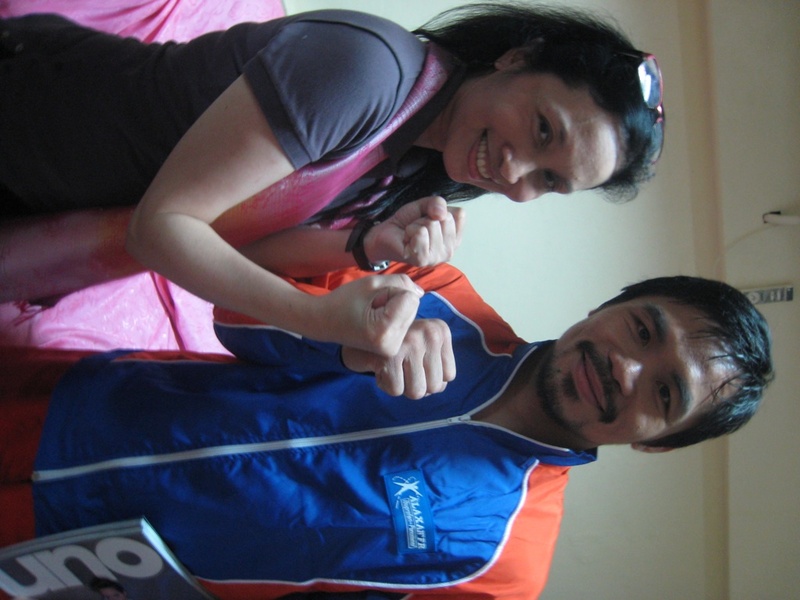 To me, this act of surrender and offering shows where the REAL source of Manny’s power comes from. He has faced opponents who mocked him, ridiculed him, dared and challenged his abilities. He has never responded with the same spite. Instead, he just says he would do his best. And after every win, he still has good words for the one he defeated. As a parent, I credit a lot of this to someone who has always remained away from the spotlight but whom Manny obviously loves very much and who has molded him to be the champion he is now — humble even in the face of global admiration. His mom, Aling Dionisia, should be given as much credit for keeping Manny on terra firma. Here is the Mom who would rather pray while Manny fights. It reminds me so much of the book The Power of a Praying Parent by Stormie Omartian which describes just how much power is wielded by parents who continue to pray for their children in various circumstances of life. I hope Manny realizes that he has the power in his hands to become a role model for the youth who are growing up with jaded views of the world that has succumbed to materialism, corruption and self-interest. It is indeed a great responsibility for someone who has great power.